Mark Twain said: "The difference between the right word and the almost right word is the difference between 'lightning' and 'lightning bug.' " Our chart offers style tips for always finding the right word along with a step by step map from first draft to finished composition. The proper usage of language and the pitfalls of biased language are covered. 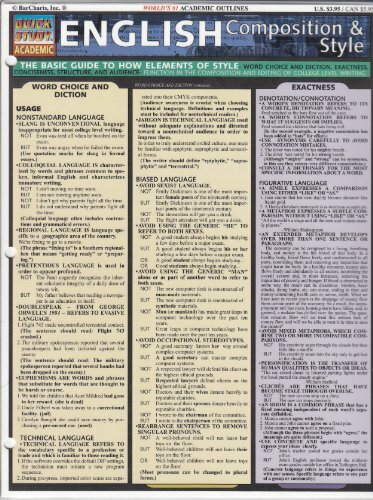 Nonstandard language, what it is and how to avoid it, is covered. And, a particular highlight, our glossary of the most often confused terms and their differences can have a great "effect " (or is it "affect"? ).